Things to Do In and Around the Historic Triangle! It doesn’t matter how many times you see it, it’s still a thrill. Like the Pied Piper, the Fife and Drums Corp is able to quickly amass a following wherever they play. 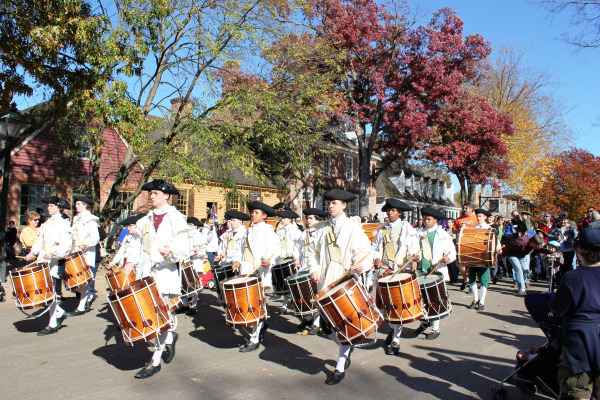 Whether it’s in a parade or just an afternoon march, the experience will magically transport you back to the 18th century. This corps of young men and women have been thrilling local audiences in and around the Historic Triangle for over 50 years. One of the corps is the son of our very own Deelyn Neilson. He was on a waiting list since he was 3, and finally “called up” when he turned 10. After an intensive interview process, the lucky are selected to have an opportunity to spend a year as a recruit, where they learn both fifes and drums, past a tunes test, and then are ultimately promoted to the rank private and allowed to march on Saturdays at 1 pm on Duke of Gloucester Street. Practices are twice weekly, and the children gain invaluable discipline, respect, and responsibility during their tenure. The garments they wear are exact replicas of what the corp would have worn in the 1700’s…down to their shoes! They are individually tailored for each child. 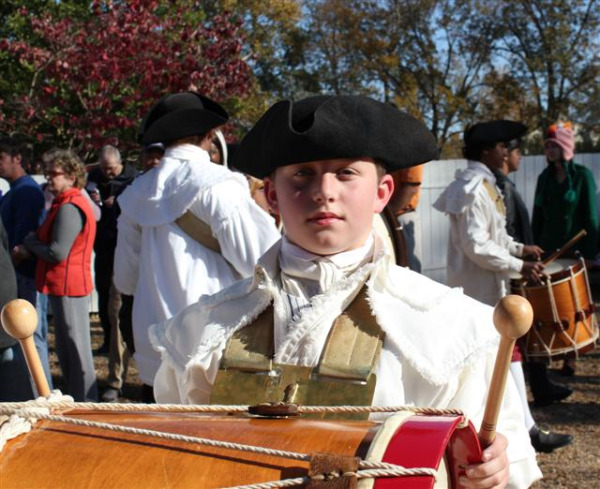 Interested in learning more about the Colonial Williamsburg Fife and Drums that perfrom in and around the Historic Triangle? Check out their video or see their schedule to plan an outting for your family. They do over 700 performances per year, so you’ll have plenty of opportunities to catch them live!